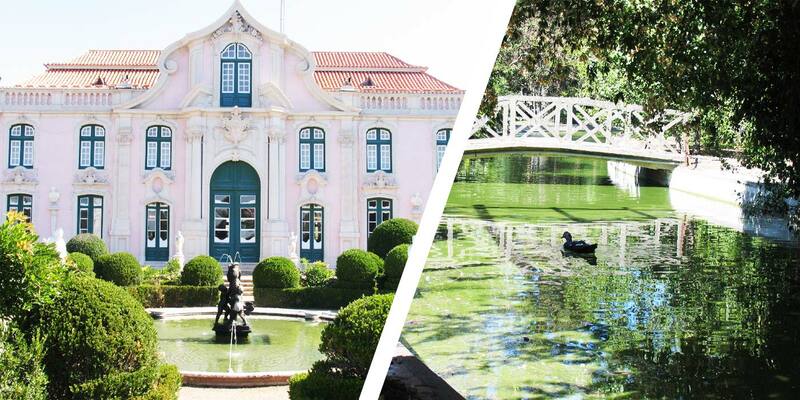 I am totally excited to present this tour to you … a tour that will take you through some of the most exquisite gardens in Portugal. 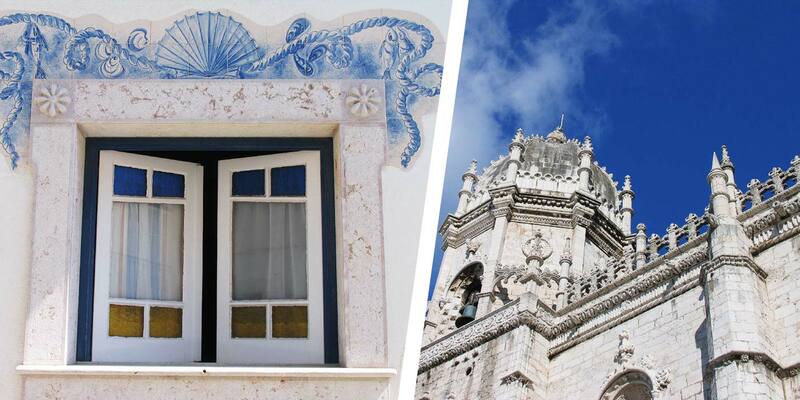 Come to Lisboa, the ancient city, the soulful city, the tile city, the golden city and the delight of Portugal full of Cathedrals, quaint museums, leafy plazas, cafes and gardens…and don’t forget the egg tarts here…absolutely mouthwatering. Lisbon is where the tour will start and finish and if you wish to arrive earlier or stay later after the tour is finished we can let you know what any pre tour or post tour nights will cost. Sintra beckons you with a fairy tale experience as you tour exotic subtropical gardens and glittering palaces. Lord Byron loved it and so will you. Hillsides covered in plant material and of course the gardens of Monserrate. While here we will also visit one of the most beautiful beaches around Lisbon so you can tickle your toes in the water. The scenery in Madeira will take your breath away as you stroll along the unique lavada trails, a complex network of man made water channels that irrigate the slopes and feed precious water to the banana groves, vineyards and gardens. Enjoy Afternoon Tea in one of the world’s best luxury hotels and also delight in visiting their subtropical gardens facing the Atlantic. 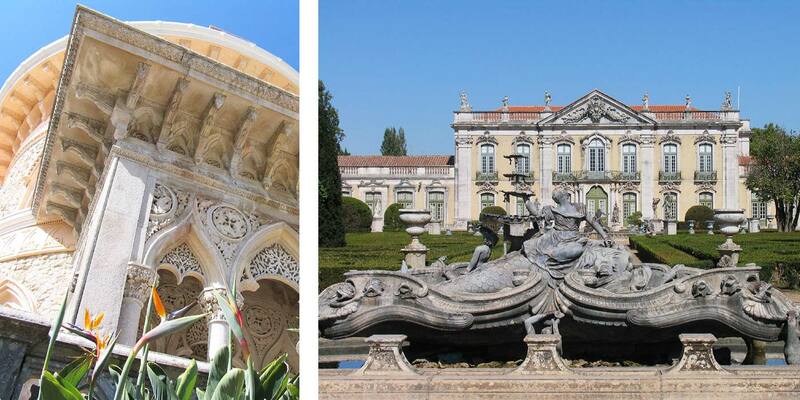 There is so much included in this tour but please note it is a small group tour…I invite you to explore with me the Gardens, Art, History and Tiles of Lisbon, Sintra and Madeira, shall we start? From the airport make your own way to the hotel. Tivoli Jardim City Center Hotel. Perfectly located in the center of the city of Lisbon and only 8 kms from the airport, this 4 star hotel with its contemporary decoration is an unexpected oasis which meets the most demanding requirements. Your Superior Room can be either King size for single or double use or Twin beds if you are sharing. We are here for three nights. If you arrive before your room is ready you can store your luggage and go out for a lovely walk in the area. Right across the road is the central boulevard lined with trees and cafes. After breakfast we will begin our walking tour of Lisbon with a visit to the city’s old neighborhoods stopping at the traditional shops such as Conserveira de Lisboa, Confetaria Nacional, Manteigaria Silva and Ginjinha to taste some of the local products. The morning will end at Ribeira Market with lunch in its renewed area. We continue to Belem for a taste of the famous Belem custard tarts and coffee before we visit the most important monuments of Manueine art (from 1490 to 1520 and a very specific interpretation of Gothic in terms of architectural structure and decoration) – the iconic Belém Tower, Jerónimos Monastery (a must see marvel and World Heritage site) including the Discoveries Memorial (breathtaking) and then finally back to our hotel to rest before our Welcome Dinner. After breakfast we leave by coach to visit the Estufa Fria and the Estufa Quente, the greenhouses of the Parque Eduardo VII. Lisbon’s central park ascends one of the city’s hills and provides a wonderful view from the top. It’s made up of symmetrical box hedging and a variety of plants, most of them found inside glasshouses from the 1930s (the cool greenhouse and the hot greenhouse), which are filled with exotic species from tropical climates. Visit the superb collections of the Gulbenkian Museum, followed by a special visit to the landscaped Modernist garden of the Foundation. This world-class museum presents the extraordinary collection of Calouste Gulbenkian, an oil magnate and art collector who left all of his art to Lisbon upon his death. Known for acquiring “only the best,” Gulbenkian’s epic collection is filled with Egyptian, Greek, Roman, Islamic, Asian, and European masterpieces, from a gold Egyptian mummy mask to Old Master paintings bought from the Hermitage in St. Petersburg. There’s Rembrandt’s Portrait of an Old Man and Alexander the Great, Renoir’s Portrait of Madame Claude Monet, Rubens’ Portrait of Helene Fourment and other works by Monet, Ghirlandaio, and Van Dyck. More highlights include Houdon’s Diana sculpture, François-Thomas Germain silver once used by Catherine the Great, and a unique collection of René Lalique jewelry. After lunch continue on to Palacio Fronteira and gardens with its profusion of decorated tiles and terraces. Although it has a beautiful interior decorated with Indo-Portuguese furniture, it is the monumental tilework that makes a visit here worthwhile. The Room of Battles has been called “the Sistine Chapel of Tilework.” It is most famous for its stunning formal gardens with even more tiles (some of the country’s finest, depicting hunting, battles, and religious scenes), statuary (figures personifying the arts and mythological figures as well as busts of Portuguese kings), and fountains. The garden hedges are cut in order to represent the different year seasons.. Still privately-owned it is in this 17th-century garden that you’ll see one of the world’s richest tile collections, mixed with statues and busts of Portuguese monarchs. This garden is featured in the 2015 “The Gardeners Garden” the ultimate book on outstanding gardens. Then we visit the elegant Chiado area for a wine and cheese tasting before returning to our hotel. Most of the buildings are from the 1700s (many of them renovated in the 1990s by architect Álvaro Siza Vieira after their destruction by a devastating fire in 1988), but the neighborhood is a flashback to the late 19th and early 20th centuries, the “Belle Époque” when writers such as Fernando Pessoa and Eça de Queiroz used to write at the now-historic cafés. This is also the neighborhood of theaters, of charming old bookshops, local fashion designers and major international brands, giving it a lively cosmopolitan ambience at any time of the day. You are welcome to stay on in this area if you like, there is so much to see and do and then make your way back to your hotel at your leisure. Breakfast and Lunch Included, Dinner on own. This morning after breakfast we leave by coach for a visit to the gardens of the Royal Palace of Queluz. The gardens cover an area of 16 hectares (40 acres) in what was the former Royal Estate of Queluz. Used by the Royal Family as a privileged setting for its festivities and celebrations, especially in the period from 1752 to 1786, the gardens represent a valuable national heritage and are highly distinctive in landscape terms, being considered one of Portugal’s most important historical gardens. We then continue to the romantic hill town of Sintra to visit the historic garden of a privately-owned quinta or country estate, Quinta da Piedade, with a series of garden ‘rooms’, followed by wine tasting and tapas and then we visit a large and informal private garden at Quinta da Bemposta, a plantsman’s paradise on a sheltered hillside before checking into our hotel, the beautiful heritage Tivoli Palacio de Seteais for the next two nights. More than just a five-star Sintra hotel, a luxurious and romantic palace which takes us back to the days of the elegance and architecture of the XVIII century. On the mountainside of Sintra, a town classified as world heritage by UNESCO, and with spectacular views of the Moorish Castle and Pena Palace, enjoy the magnificent surroundings of lush gardens and spectacular scenery. Breakfast and Wine Tasting and Tapas Included, Lunch and Dinner on own. This morning after breakfast we leave by coach to visit the exotic gardens of Monserrate. Not very far from the historic centre of Sintra is one of the most beautiful architectural and landscape Romantic creations in Portugal: the Park and Palace of Monserrate, unique representatives of 19th century eclecticism. The Palace combines gothic and Indian influences as well as Moorish suggestions together with exotic and plant motifs which are harmoniously extended to the exterior. The gardens have received species from all corners of the world, which were planted according to their geographical origin. The front lawn of the Palace provides a well-deserved rest, while discovering one of the richest Portuguese botanical gardens. After this glorious visit we explore a bit of Sintra and have lunch then we are off to visit another highlight and also featured in the 2015 ‘The Gardeners Garden’ the ultimate book on outstanding gardens….that of Quinta da Regaleira. Built between 1904 – 1910 during the last days of the Portuguese monarchy. This romantic property formerly belonged to the Baroness of Regaleira and then acquired and enlarged by Antonio Augusto Carvalho Monteiro. The architect had just been working in Italian and Portuguese opera houses. This is a fantastic and sophisticated ensemble of buildings, water features and mature plantings that is both richly symbolic and wildly romantic. On our way back to the hotel we should be able to make a short stop at Guincho beach and Cabo da Roca at the most western point of mainland Europe. We return to our hotel afterwards. This morning after breakfast we leave Sintra and journey to Lisbon and the Parque das Nações to explore this renewed riverside area and buildings by famous architects (Calatrava, Carrilho da Graça; Siza Vieira; Chermayeff) and the landscaped gardens. We continue on to the airport for our flight to Madeira. Arrival in Funchal and transfer to our hotel Quinta das Vistas for the next four nights. Quinta das Vistas Palace Gardens Hotel is a prestigious new hotel in Madeira, which opened in May 2002. It has been created from a prominent manor house superbly positioned on the brow of a hill with fabulous panoramic views over the mountains, the ocean and Funchal’s city centre. Surrounded by gardens featuring fountains, a pond with swans, a pavilion, a mini-golf course (9 holes), this elegant Quinta is setting new standards with regard to high quality accommodation and services on the island of Madeira. There is a spa here as well. Breakfast Included, Lunch and Dinner on own. We begin this day with breakfast and afterwards leave by coach to visit the tropical gardens of Monte Palace. The Monte Palace Tropical Garden occupies an area of 70.000 square meters and houses an huge exotic plant collection, coming from all over the world. Of note are the Oriental Gardens. One of the most interesting characteristics of the Tropical Garden is the existence of a large collection of tile panels placed along the walkways and amongst the vegetation acquired by José Berardo, under the specialist direction of Manuel Leitão. This collection, considered to be one of the most important in the country after that of the National Tile Museum, is made up of Hispano-Moorish tiles of the 15th and 16th centuries and panels produced in Portugal from the 19th to the 20th centuries. We will enjoy lunch at a local restaurant then visit the gardens of Quinta da Vigia. In May 1984 the ‘Quinta Vigia’ became the Official Residence of the President of the Regional Government. It offers wonderful panoramic views over the harbour and harmoniously combines massive trees, palm trees, many specimens of indigenous flora as well as introduced plants and exotic birds in its gardens – a delight for all. Breakfast and Lunch Included, Afternoon Tea Included, Dinner on own. Today after breakfast we enjoy another wonderful day as we leave by coach to visit the Mercado dos Lavradores or Farmers Market with exotic fruits and the flower market. Large Batisttini Faience tile panels of Maria de Portugal, dated 1940 and painted with regional themes by João Rodrigues, adorn the facade, the main entrance and the fishmonger. We then visit the Cathedral. Of undeniable historical, architectural and artistic value, one of the interior highlights of the Cathedral is the chancel’s altarpiece ordered by King D. Manuel I in 1510-1515. The altarpiece, surmounted by a Gothic canopy, is in the form of a large polyptych, composed of gilt woodwork, supplemented by small sculptures, and oil paintings on wood. The high value of this altarpiece derives from the high technical quality of execution and the fact that it constitutes the only altarpiece of the Manueline period which remains, entirely, in its place of origin. Funchal’s Cathedral (Sé) also features one of Portugal’s most beautiful ceilings, made with wood from the island and the stalls of the chancel boast in Flemish style. The main entrance displays Gothic lines and the gilded woodwork pieces of the 17th Century point to some features of the Manueline period. The church also features an exceptional processional cross, donated by D. Manuel I, considered one of the masterpieces of the Portuguese Manueline goldsmithery. and the Sacre Art Musuem. The Museum is made up of collections of paintings, sculptures, goldsmithery and vestments, arranged chronologically between the 15th and 19th centuries. Of special note among the collections of the Museum are the Flemish paintings of the 15th and 16th centuries that were sent to Madeira in the 16th century during the so-called golden era of sugar production. All housed in a former Bishops Palace. Our next visit is again a highlight as is it also in ‘The Gardeners Garden. Quinta Velha do Palheiro owned by the Blandy family. The gardens at Quinta do Palheiro are famous not only for the variety of plants that grow there but for the beauty of their setting in the hills to the east of Funchal, the capital of Madeira. In Funchal many tropical plants have found a home and the visitor can see Hibiscus and Bougainvillea in flower almost all the year round along with Jacaranda, Spathodeas, Erythrinas and Bauhinias in their season. The Palheiro gardens are situated at about 500 meters above sea level. The original owner, the Conde de Carvalhal, planted many trees on the estate and laid the foundation to the Camellia collection; some of his early plantings can still be seen today. We enjoy lunch at the estate’s restaurant before our next visit, a Madeira wine tasting at Blandy’s wine lodge. Acquired in 1840 by Charles Ridpath Blandy, the Blandy’s Wine Lodge has always been and is still an integral part of the production of Blandy’s Madeira Wine. This morning after breakfast we leave by coach to Ribeiro Frio for a walk along the Levada dos Balcões. The island’s characteristic levadas – an ingenious system of irrigation using ancient canals that brings mountain water to the slopes and valleys – offer a fascinating 1,400km course to explore a country side of rare beauty. The laurel forest, which dates back to the Tertiary Age and survived the last glaciations, covers about 22, 000 hectares of the island area. Due to its amazing richness, diversity and state of preservation UNESCO recognized and considered the Laurissilva forest a World Natural Heritage. Of course we won’t walk the whole forest but enough to give you memories. We will enjoy lunch at Quinta dos Jardins do Lago (History tells that during the occupation of Madeira, at the time of the Napoleonic wars, this Quinta served as the residence of General Beresford, commander of the British forces. His magnificent sideboard, a reminder of his stay, still adorns their dining room) before our visit of the estate’s subtropical garden. The garden has a fantastic collection of centenary trees, such as Dracaena draco from Madeira, Syncarpia glomulifera from Australia, Cinnamomum camphora from China/Japan, as well as many other fantastic varieties from all over the world as the Jacaranda mimosifolia from Brazil, Pandanus útilis and Revenala madagasceriensis from Madagascar. The different owners of this Quinta always kept in contact with various Botanical Gardens worldwide and invested lots of love and time improving these relaxing and colourful gardens which for 47 years have been the home of “Colombo”, the Quinta`s giant tortoise. Our final very special visit of the day is to Quinta da Boa Vista, a spectacular habitat for American bromeliads and a superb collection of hybrid orchids. The BOA VISTA ORCHID GARDEN was founded in the 1960s by the late Group Captain Cecil Garton, O.B.E., in the grounds of the Quinta da Boa Vista, which had been in his family for the past 100 years or so, and where he himself was born. Cecil Garton’s widow, Betty, is the daughter of Sir William Cooke, one of the pioneers of orchid breeding, particularly of Cymbidiums, as well as being a collector of rare and beautiful natural species. Their son Patrick began painting after leaving Oxford University in 1990 with a degree in Botany, after which he pursued a horticultural career, spending three years at the Royal Botanic Gardens at Kew, where he obtained their Horticultural Diploma and it is with Patrick that we will be guided. The gardens include one of the last and oldest remaining systems of walled stairs terracing, as they were back in the 19th century to be found within the close proximity of the city centre. Visitors to the estate will also chance upon the vestiges of that era such as the wine press and original storage house alongside, not to mention also the thatched cow house which looks so perfect in this setting. Orchids, however, are not the only flowers to admire in the Quinta da Boa Vista, as the garden itself contains many other interesting exotic plants, which flower in their turn throughout the year including Frangipani, Hibiscus, Passion Flowers, Aloes and much more. After this visit we return to our hotel. After breakfast we load our bags onto the coach to make our way to the airport for our flight back to Lisbon and our first hotel, the Tivoli Jardim. If time permits according to our flight time we will enjoy the west coast of the island: Câmara dos Lobos, Cabo Girão and Ribeira Brava. Arrive Lisbon and check in to your hotel and later on this evening we will enjoy our Farewell Dinner. Breakfast and Farewell Dinner Included, Lunch on own. April 27th – Thursday Day of Departure. Tour Begins in Lisbon and ends in Lisbon. PLEASE NOTE: return domestic flight from Lisbon to Funchal to Lisbon is not included in price of tour. led by Patrick Garton, owner. PRICES ARE QUOTED IN Euros. If considering the tour please check the exchange rates to determine what the cost is in your currency. NOTE Minimum number of 8 tour registrants required for this tour to run, so please do not book your air until you have heard from us that the tour is confirmed.